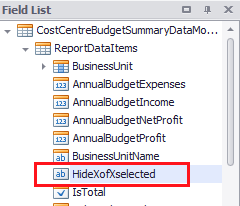 When displaying consolidations of business units on reports like the Cost Centre Budget Summary report, Calxa displays the consolidated header summary row as Business Unit Name (X out of X project(s) selected). 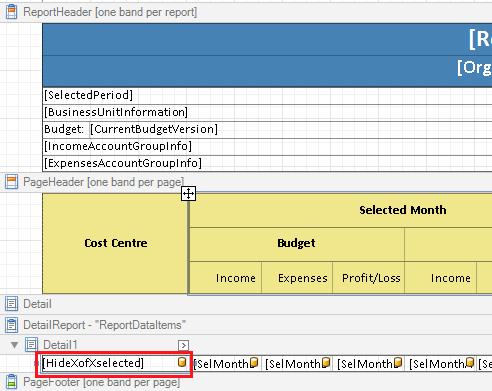 This help note will show you how to strip the (X out of X project(s) selected) from the summary row by using the Report Designer to create a calculated field. 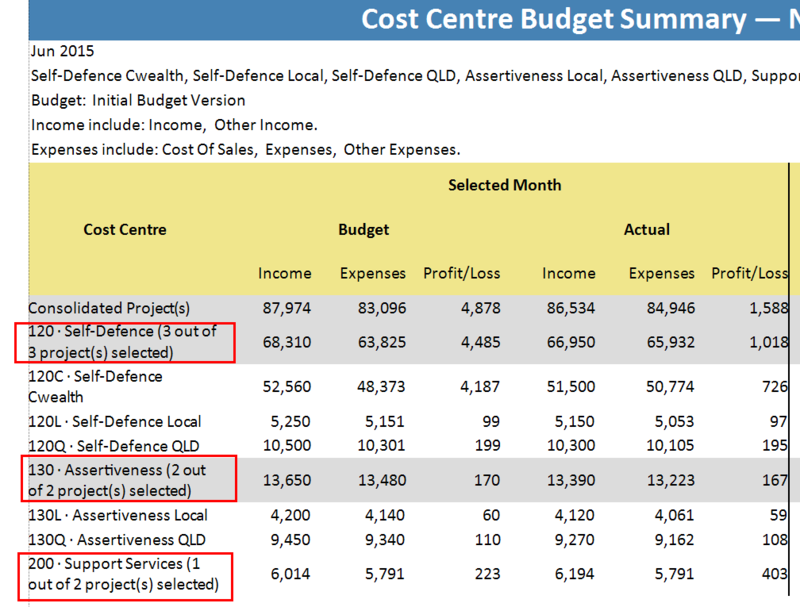 The Cost Centre Budget Summary report is the example shown here, however you can use the same logic to apply this idea to other reports. It is assumed that you are familiar with the Report Designer. If this is not the case you should first read Report Designer: General Concepts. 1. 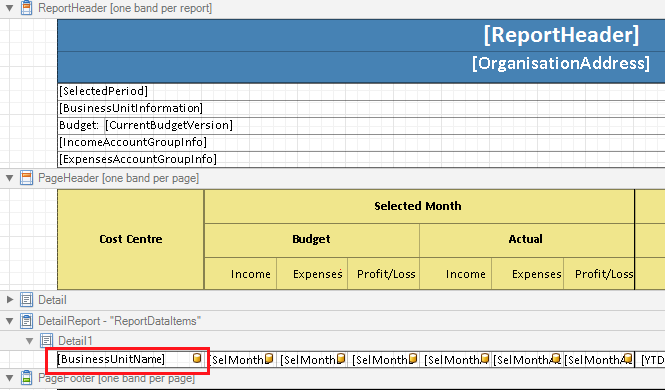 Select the report you want to modify to remove the (X out of X project(s)/or department(s) selected) from consolidated summary rows. 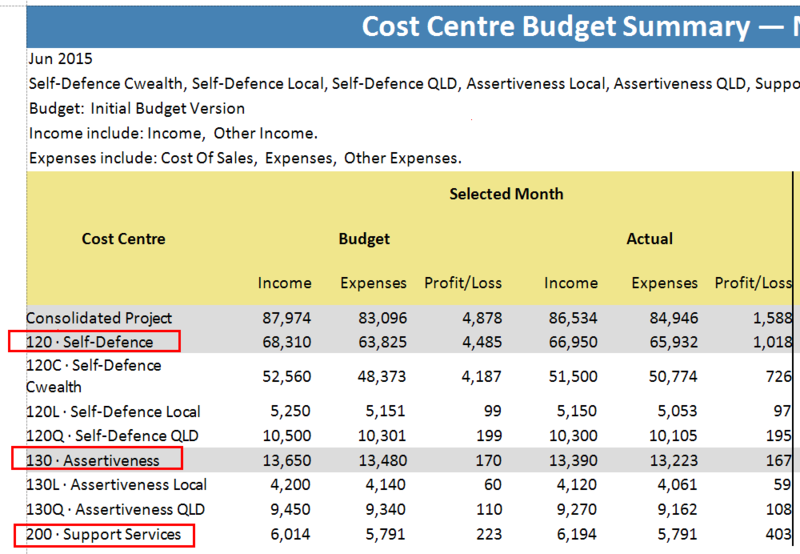 For this example we will choose the Cost Centre Budget Summary. 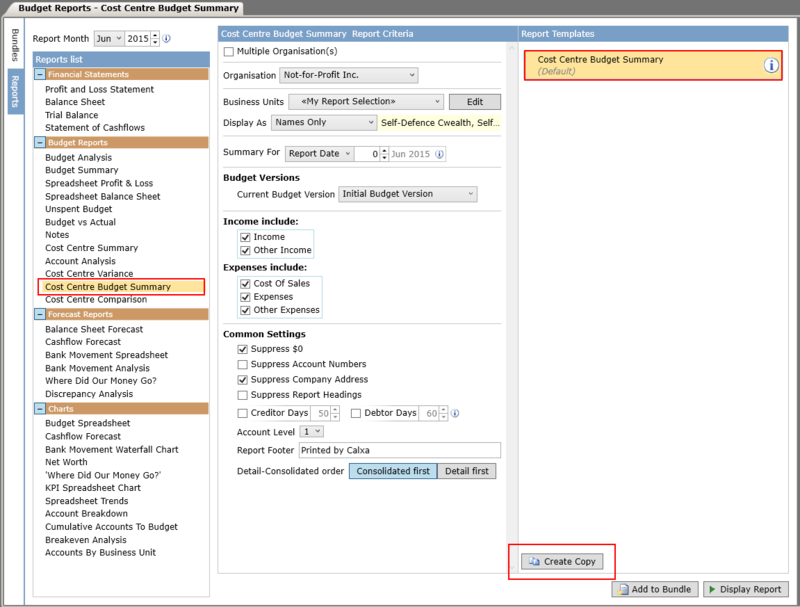 Choose the report template called Cost Centre Budget Summary, and then click the Create Copy button. 2. Select the copied template that you just created and expand the Edit Template section to proceed. 3. Edit the Template Name, Report Title and Description as required and click on the Design template layout button. 1. In Report Designer, go to the Report Explorer on the top right side & click the Field List button. 3. Right-click your mouse to create a calculated field. 4. 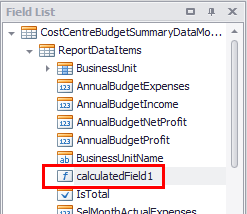 Now highlight the new calculated field and right-click your mouse. 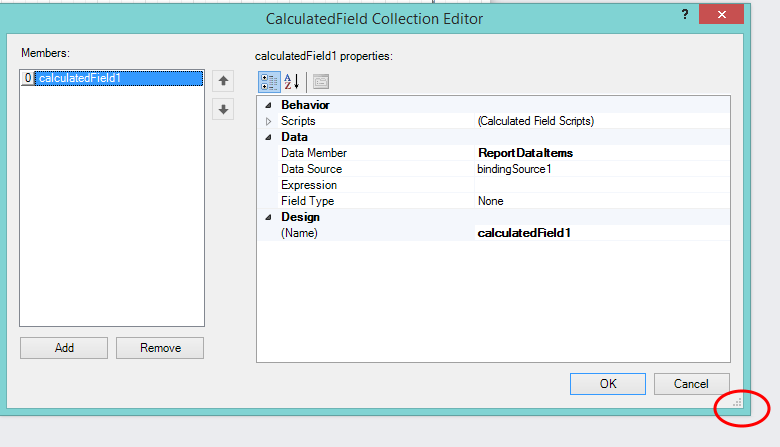 Select Edit Calculated Fields. 5. 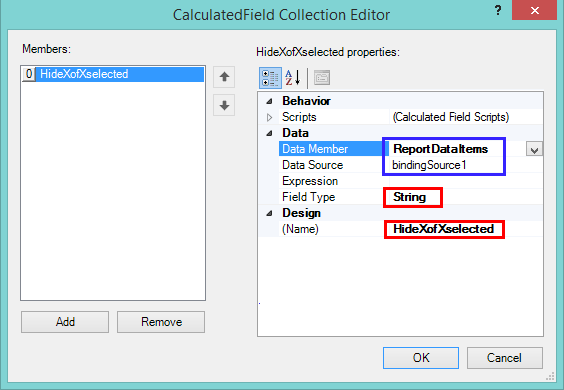 Expand the CalculatedField Collection editor box by grabbing on the bottom right corner and pulling outwards (see circled in red below). 6. Now begin to fill in the properties. 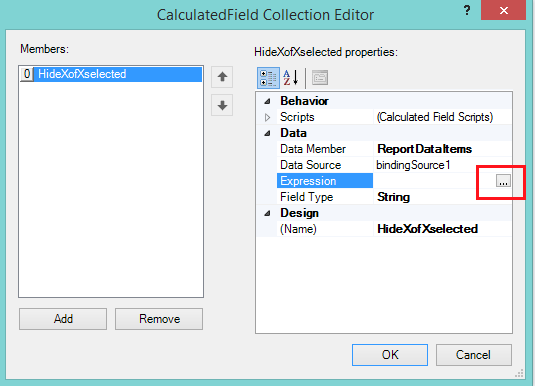 You will need to fill in the Name, Field Type, and ensure Data Source and Data Member are populated. The Name should be something descriptive of what you’re doing like HideXofXSelected, and cannot have any spaces between the words. For Field Type, select String. The Data Source will be bindingSource1, and the Data Member selection needs to be ReportDataItems. 7. 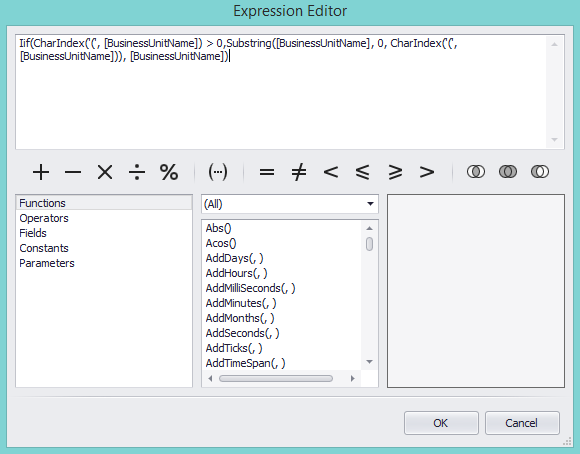 Click into the Expression property row, and then click the box with three dots at the right hand side to open the Expression Editor. 9. 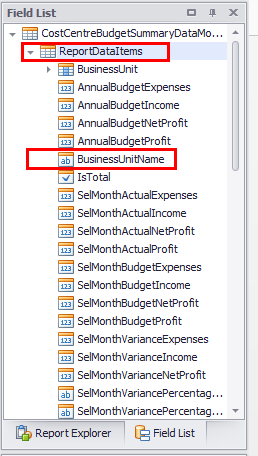 To complete the customisation, you now need to bind your newly created calculated field to the Business Unit name column. 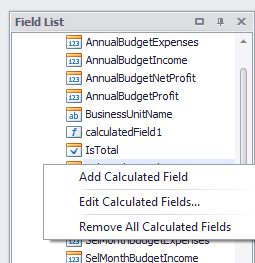 Highlight the calculated field in the Field List, then drag and drop it onto the BusinessUnitName column. 1. Close the Report Designer and click on Display Report. 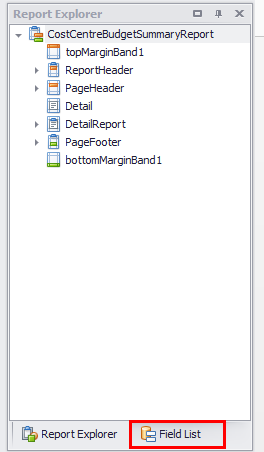 Your report will display similarly to the one shown below, where the Business Unit header name appears alone without (X of X project(s) selected) after it.